Hello! 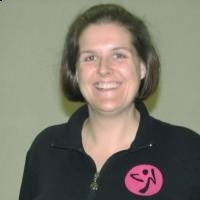 I’m Kory Prehl, and I live in Allentown, PA. I’ve been a ZIN™ Member since Aug 2009 and I absolutely love teaching Zumba classes. The reason is simple: Every class feels like a party! I am currently licensed to teach Zumba, Zumba® Toning, Aqua Zumba®, Zumba Gold®, Zumba Gold® Toning, Zumba® Kids & Kids Jr.. Come join me, I guarantee you will have a blast! Join us Saturday morning at 9am.